Successfully Added ZOPO C3 5 Inch FHD Android 4.2 Phone - 1920X1080 441ppi Screen, MT6589T Quad Core 1.5GHz CPU, 13MP Camera, 16GB ROM (White) to your Shopping Cart. ZOPO C3 Android 4.2 Phone with a 5 Inch FHD 1920X1080 441ppi Screen, MT6589T Quad Core 1.5GHz CPU as well as 16GB Internal Memory makes this one of the elite phones on the market today. Taking Chinavasion by storm is the ZOPO brand, which is a well known international company that has a history of researching and developing mobile devices. ZOPO has now released the ZOPO C3, a 5 inch powerful Android 4.2 phone that has plenty of features to make this a very diverse but highly useful handheld communication device. Arriving with Android 4.2 pre-installed, this modern operating system allows ZOPO C3 users’ to tailor the phone in a way that suits them. The Google Play store provides the chance for users to select and download applications that go with their needs such as Facebook for social media communication or BBC news app for keeping up-to-date. To watch videos and play games in all their glory, the ZOPO C3’ comes with a 5 inch full high definition screen with 441 pixels per inch and a resolution of 1920x1080. Performance is everything when choosing a phone that should be able to do most things and the ZOPO C3 does not disappoint as it comes packed with a MT6589T Quad Core 1.5GHz CPU. 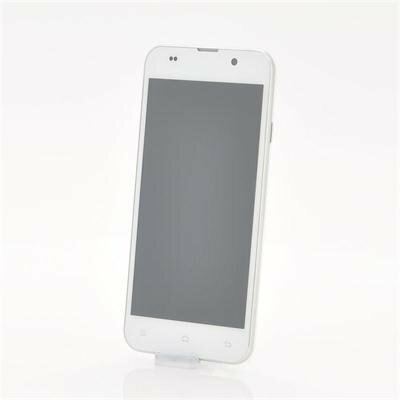 The quad core processor makes this Android mobile phone operate and handle the most demanding apps at a faster or more efficient pace than that of a singular or dual core processor. With an impressive 16GB of internal memory, the ZOPO C3 has plenty of storage space for all your files and download but if you need additional memory the built-in micro SD port can support up to a huge 64GB. Supporting an array of file formats such as MP3, MP4, JPEG and PDF, the ZOPO C3 will play them to provide you hours of entertainment with the help of a 2000mAh battery. Another selling point of this phone is the awesome 13 megapixel rear camera to assist you on capturing them must see moments in a full color to view later, as well as a 5 megapixel front-facing camera that can be expanded to 8 megapixel via interpolation. 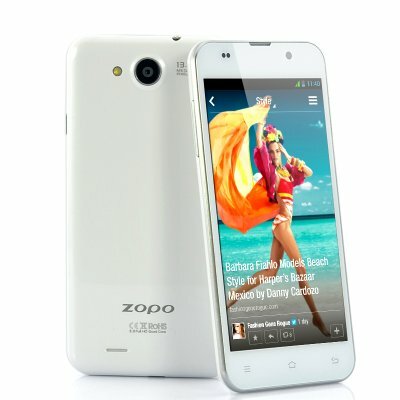 The ZOPO C3 is a smart way to put you among the top ranks when it comes to mobile superiority. In stock now, we guarantee next day shipping and offer a 12 months warranty on all our products. Brought to you by the leader in electronic devices and wholesale Android Phones, Chinavasion.